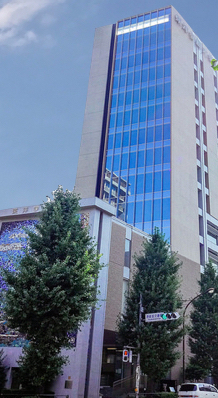 PanSIG is an annual conference held in May, and organized by many of the Special Interest Groups (SIGs) of the Japan Association for Language Teaching (JALT). The conference brings together leading scholars and practitioners in language education from Japan, Asia, and throughout the world. 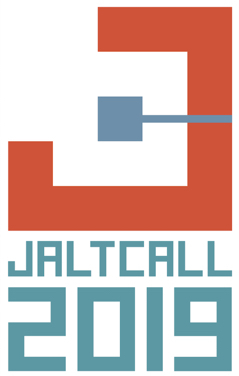 It is meant to be a smaller, more intimate conference than the annual international JALT conference (which is held each fall), and is a place where SIG members can network with each other. 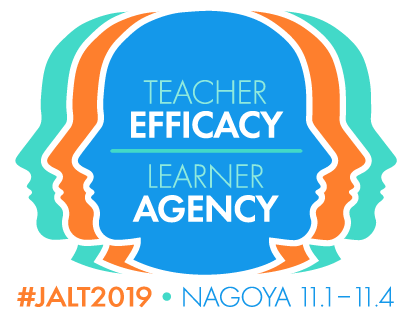 PanSIG 2019 will be held at Konan University, CUBE Campus in Nishinomiya, Hyogo Prefecture, on May 18-19, 2019. Pre-registration is now open. The call for papers runs October 1st, 2018 through December 22nd, 2018. For those interested in giving a presentation, workshop, or poster presentation at PanSIG, please see our call for papers. All proposals will be vetted by blind review, and the results will be made available between mid-February and early March. Presenters will expected to register for the conference soon thereafter, though registration payment is usually due at the beginning of April. 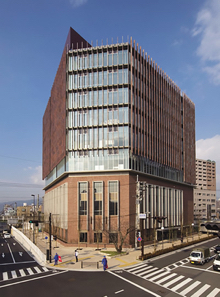 While Konan University, Nishinomiya Campus (CUBE) is a modern campus in a convenient location, attendees to PanSIG 2019 will be best served by the Sannomiya area of Kobe (map), and the Umeda area of Osaka (map), which are both 15-minute express-train rides from Nishinomiya-Kitaguchi station. Please book your hotel early to ensure that you get the rate and location that suits you best. Please refer back to this site, or follow us on Facebook and/or Twitter to keep up to date with PanSIG 2019 developments. 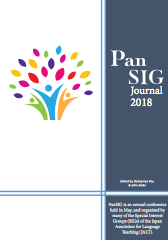 This journal represents the fourth edition of the annual PanSIG Journal in its latest form--following 13 years of proceedings publications beginning with 2002--which includes a selection of articles from the 2018 conference. With a comprehensive blind and detailed peer review process, including the new policy of allowing authors to take on the role of a reviewer, dedicated reviewing and editing committees, along with motivated and professional authors, and proper time management, the quality of the articles submitted to the 2018 PanSIG Journal were consistently high. The articles finally selected for publication in the 2018 PanSIG Journal demonstrated a comprehensive and robust representation of the work presented at the PanSIG conference from a number of different SIGs on a diverse range of topics. More importantly, the range of research ideas highlight the effort and creativity of the participants of the conference and the members of the SIGs, and clearly demonstrated that PanSIG as a language research, teaching and learning community is constantly evolving and seeking to find new patterns, designs and structures in language pedagogy. Download the 2018 PanSIG Journal (PDF). PanSIG 2018 Conference was a success! The PanSIG 2018 Conference at Toyo Gakuen in Tokyo was the biggest one yet, even surpassing last year's success. In total the conference attracted 463 participants (see photos). And through our "bring your own travel mug" environmental initiative, we only used 200 paper cups throughout the weekend! Thank you to everyone who helped make this year such a success, especially thanks to Jennie Roloff Rothman, Andy Boon and Jason Pratt for a smooth, well-run conference. Conference Dates: May 19-20, 2018. For full details of the conference, download the PanSIG 2018 Handbook. For a quick overview, please see the schedule overview. In an effort to help us hold a sustainable conference and reduce our carbon footprint, PanSIG2018 encouraged participants to bring their own travel mug or tumbler for use with on-site refreshments. As an incentive, after verifying that they have a reusable cup, participants were given a ticket at registration for a FREE SNACK as a thank-you for putting the planet first! For more information on PanSIG environmental initiatives, please visit our Environment page.